Blocked drains can be a really nasty experience, looming smells, overflowing external drain covers, slow draining showers, baths and sinks and toilets backing up or even worse overflowing. Left unchecked a real threat can develop to your property, causing damage that can be expensive to repair. Of course there is also a risk to you and your families health. Drain damage sometimes might need extensive repair and even replacement however don’t panic by using our CCTV surveys we can locate and identify the seriousness of the damage to your drainage system. When possible we will reline your drain and avoid excavation and disruption to your property. A membrane is placed inside of your drain which is then hardened using a chemical process. The liner renews the integrity of your pipework ensuring it is watertight. Blocked toilets can be an awful problem and that is why we offer a 2hr response time to your home to come and unblock your toilet. 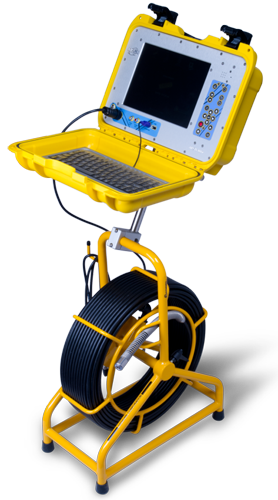 Often the blockage is fairly straightforward however we also offer CCTV surveys to assist when slow drain-away or continued blockage indicates a further problem. Blockages might be further down your drainage system, sometimes a problem can be caused by issues with someone else’s drain or a shared drain. Our surveys help locate the problem quickly and help us identify responsibility for the costs, deal with the issue correctly and quickly. Is your toilet blocked? Call today and we will get an engineer out to your home.